Stephen Wharton brings over 15 years of executive engineering, operations, and business development leadership across broadcast, sports and mobile technology. Mr. Wharton also consults on a variety of technology, and sports business ventures, with an emphasis on early stage startups, and emerging technology. 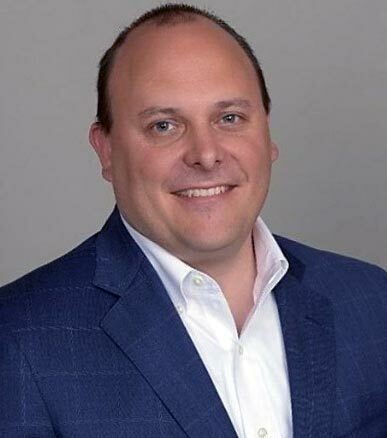 Currently he serves as Chief Technical Officer for SkyCam, a division of Kroenke Sports and Entertainment, with oversight for SkyCam’s technology, business strategy, engineering and IP initiatives. Under Mr. Wharton’s leadership, the Emmy Award winning SkyCam completed several technology-centered acquisitions, and leading edge technical developments, earmarked by the design and successful deployment of the Worlds’ first aerial camera systems capable of stereoscopic 3D, multi-camera payloads, ultra-motion, and emerging technologies in both augmented and virtual reality. Mr. Wharton is also responsible for managing, protecting, and building SkyCam’s intellectual property portfolio which includes over 40 World and US Patents, Trademarks and other IP. He holds multiple patents in broadcast technology, and is the inventor of the current SkyCam WildCat® system, recently highlighted on Super Bowl 50, and whose client list includes the NFL, MLS, CBS, ABC/ESPN, FOX, NBC, and Turner Sports. Prior to joining SkyCam, Mr. Wharton served as President & Founder of Kinemetric Holdings an early stage R&D Company, whose initial television Products used real-time wireless sensors to display on-screen graphics of G-Force and velocity for extreme sports, including XPower and Horse TraX, which were acquired by Winnercomm. In 2001, he served as President and founder of DaySheet, a pioneering mobile content delivery and DRM system for Web, wireless and mobile/SMS information. His DaySheet technology was licensed to The Professional Bull Riders Inc. (PBR), IMG and its subsidiary, TWI Interactive. Mr. Wharton graduated with High Honors from Colorado Technical University where he received a B.S. in Electrical Engineering and an MBA. He is a member of the Institute of Electrical and Electronics Engineers (IEEE), Society of Broadcast Engineers (SBE), and an active amateur radio operator. A native of Palo Alto California, Mr. Wharton now resides in Weatherford, TX with his wife Darla.